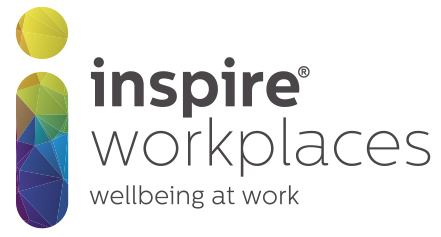 Inspire Workplaces is an award-winning social enterprise, established in 2000 as part of the Inspire group – one of the longest established and largest charitable organisations in Ireland. We deliver evidence-based, best practice workplace wellbeing solutions that encompass market-leading prevention and intervention services to provide a complete framework for organisations seeking to implement an effective, tailored wellbeing strategy. Via our network of highly skilled and experienced counsellors, consultants and support team, we currently provide timely support to over 800,000 employees across the UK and Ireland. Through our specialist Inspire Knowledge and Leadership team, we can deliver a range of learning programmes that will help build resilience and self-capacity of managers and employees, addressing real issues that affect their wellbeing at work; and which can be tailored to specific sectors. We continue to lead the way in reshaping workplace wellbeing through the development of our highly innovative Employee Resilience Programme (ERP). Aiming to embed a culture of wellbeing in workplaces, our ERP approach is at the cutting edge of thinking on organisational culture and employee performance and development. Encompassing an organisational needs analysis that influences strategy and policy, our ERP is underpinned by best-practice methodology, an industry-leading range of evidence-based interventions and a pioneering online technical platform that guides and supports users through the service. Employing a tiered, ‘stepped-care model’ this end-to-end wellbeing solution ensures that the right care is given by the right people, in the right place, at the right time.